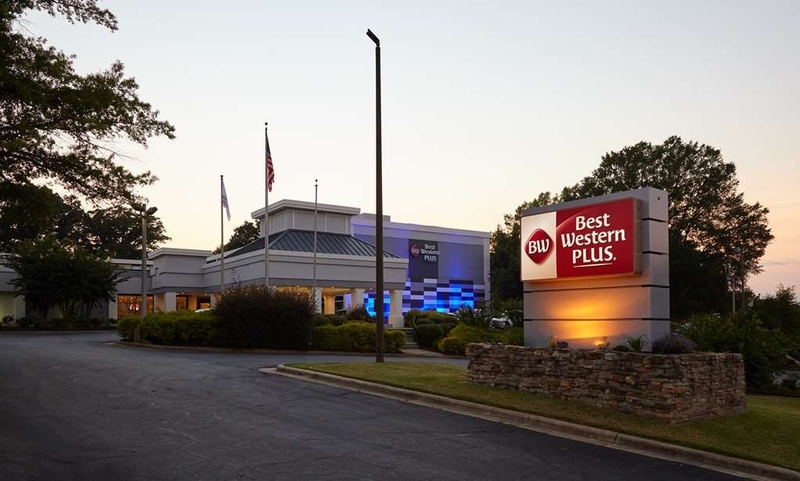 Das Best Western Plus University Inn ist ideal in Winston Salem Stadtzentrum zu finden. Erleben Sie ein schöner Aufenthalt in der Nähe von alle Sehenswurdigkeiten. Bestpreisgarantie und exklusive Angebote. Überarbeitet:Entspannen Sie sich und überlassen Sie uns den Rest . 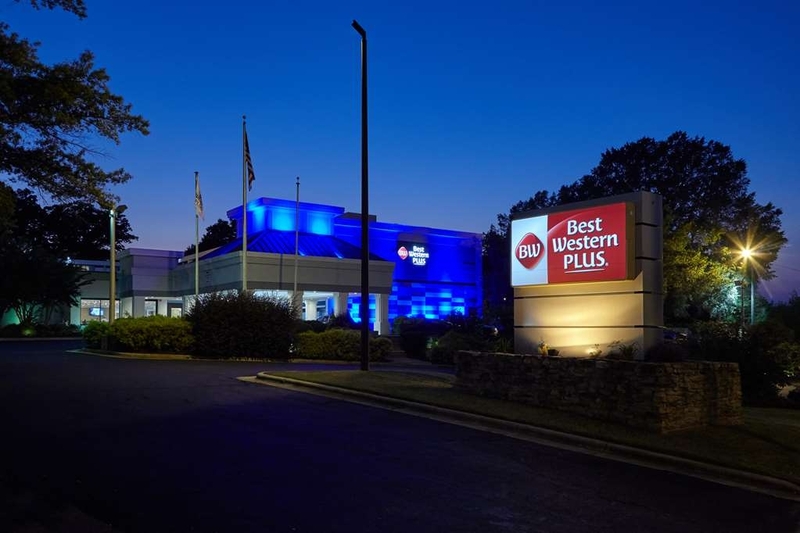 . . Das vollständig renovierte Best Western Plus University Inn (früher Winston Salem Hotel and Spa) ist nur wenige Minuten entfernt von der Interstate 40, vom Lawrence Joel Veterans Memorial Coliseum Complex und Coliseum Annex, den Dixie Classic und Winston Salem Fairgrounds mit Annex (Heimstadion der Carolina Thunderbirds), dem Ernie Shore Field, Einkaufsmöglichkeiten und Restaurants. Unser schönes Hotel im Boutique-Stil ist haustierfreundlich. Kulturelle Attraktionen wie das Reynolda House Museum of American Art liegen ganz in der Nähe. Auch Möglichkeiten zum Wandern, Angeln und lokale Weinkellereien befinden sich in Reichweite. Besuchen Sie eine Veranstaltung im BB&T Soccer Park? Dank unserer Nähe zu dieser Spielstätte ist unser Hotel ideal für Ihren Aufenthalt. Auch die Wake Forest University, Heimat der Deacons, und die Winston Salem State University, Heimat der Rams, liegen in der Nachbarschaft. Die Best Western Plus University Inn ist Gastgeber für mehrere Universitäten, die an den A. C. C Tournaments teilnehmen. 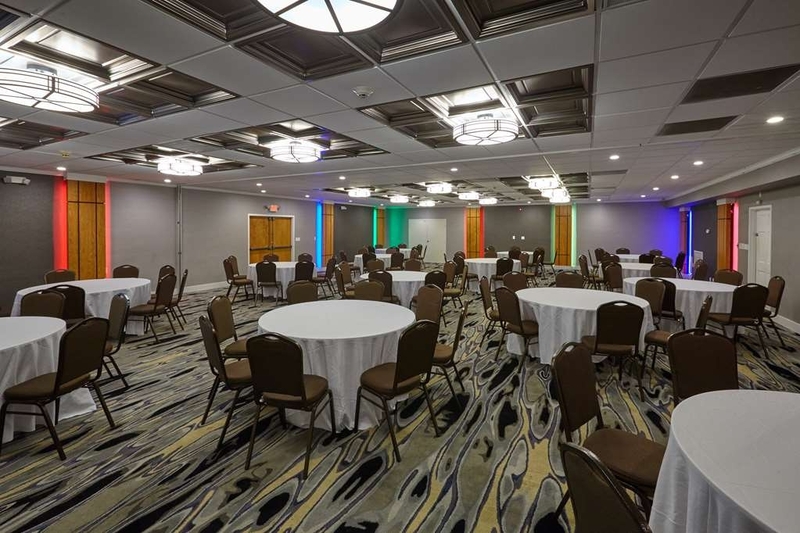 Dank unserer Veranstaltungs- und Tagungsräumlichkeiten ist unser Hotel die perfekte Kulisse für Ihre Hochzeit oder besondere Veranstaltung im Raum Winston Salem. Zudem eignet sich unsere modernisierte Anlage hervorragend für Geschäftstreffen jeder Größe sowie Tagungen. Unsere Gäste erhalten täglich unser verbessertes kostenloses warmes Frühstück mit Eiern, Fleischspeisen, Waffelstation sowie mehreren glutenfreien Speisen. Unsere geräumigen Zimmer verfügen über Minikühlschrank, Kaffeemaschine, Haarfön und 43"-LED-Fernseher. Gäste sind eingeladen, den Swimmingpool (im Freien) zu nutzen. Unsere Anlage hat zahlreiche Verbesserungen erfahren. So wurde füralle Gästezimmer, Tagungsräume und öffentlichen Bereiche ein neues, modernen WLAN-System installiert. Viele Gäste und Teilnehmer an besonderen Veranstaltungen haben sich sehr lobend geäußert. This was our first visit to this hotel/area. All the employees were welcoming and friendly. 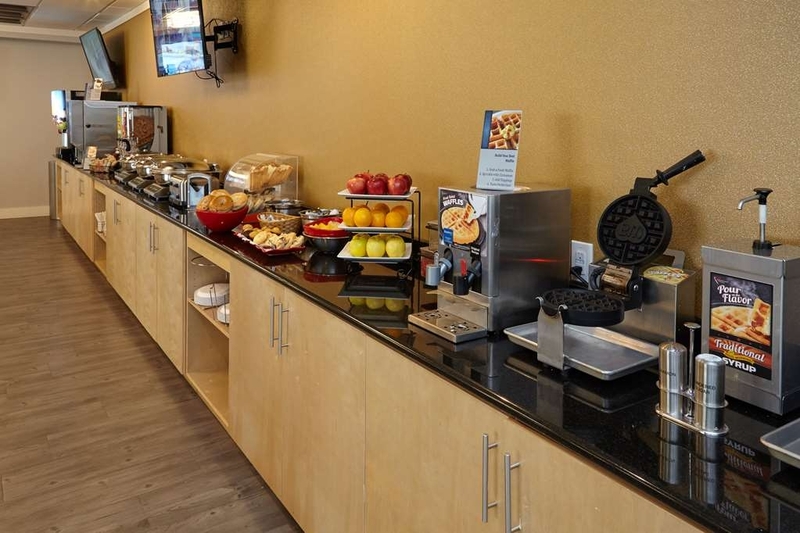 We appreciated that they offered a wide variety of breakfast options in a large eating area. If we are in this area again we will definitely choose this hotel. Problem with our Hotwire prepaid reservation and we were asked to wait as several others were checked in! It was 9 pm and we hadn't eaten dinner yet, so we let the clerk know we needed to eat. She took our info and said she would call us, but we had to call her and had to pay again for the stay. We still haven't been reimbursed!! We spent one night here, the staff was very pleasant, our room was very clean. We were over looking the pool and did have loud neighbors. Not sure if the room location would be good if you're a light sleeper. 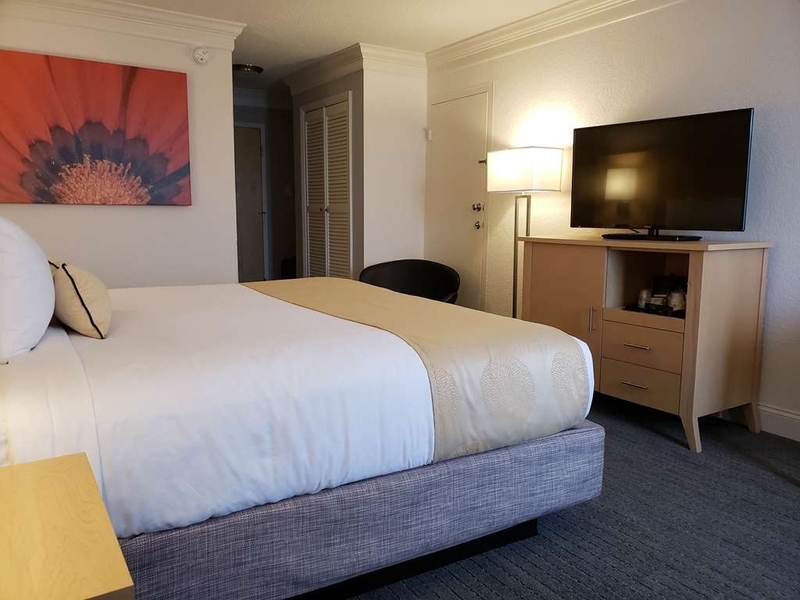 "Great price, comfy room + yummy breakfast "
After working all day, taking the red eye flight and driving 2 hours to get here, I was hoping to be able to check in early and not only was my room ready, they even knew who I was before I checked in. What a perfect welcome. 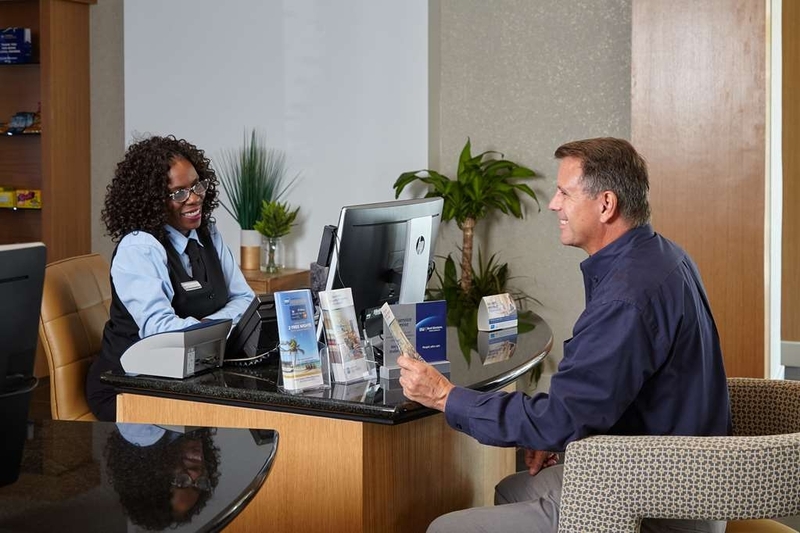 It makes sense to be a Best Western rewards member, as you get a few extras. The breakfast includes freshly made omelets, perfect way to start your day. Everyone here was friendly and helpful and knew this town well (and patiently answered all my questions, even google some answers). The beds are comfy and the room is a good size. The bathroom is a little small (when shutting the door) and the shower is slightly slippery when first stepping into it. 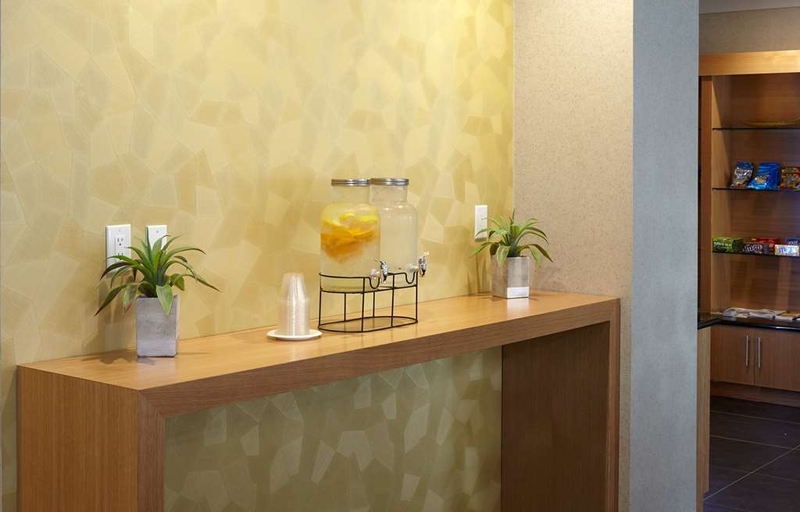 The front desk made this stay, they are friendly and helpful from the minute you come in! Great place to stay for a great price. Close to downtown, must check out-Reboot downtown (retro arcade/bar), and the art district, and Bookmark, the non-profit bookstore. Loved eating at Yamas for delicious Mediterranean food, Craft for amazing tacos. "Very pleasant team, enjoyable stay!" Upon arriving our front desk clerk was very nice, efficient and helpful. Our room was clean and had all that we needed. And the complimentary breakfast was delicious, hot, and well stocked. The lady (Linda) that worked in the breakfast area was very pleasant and helpful, I would have to say it was the kindness of the people that made our stay the most enjoyable! Thank you! 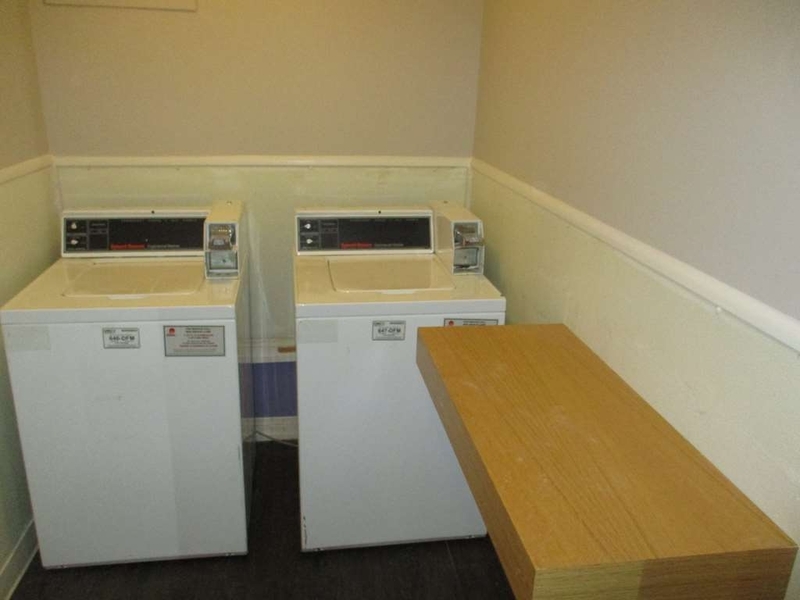 "heating unit in our room was obnoxiously bad"
The room itself was fine, clean, spacious. But the entire experience was ruined by an obnoxious heating unit. The first night it blew cold air for a lengthy time before warming up, but by morning only cold air was coming out. Plus, it blew so forcefully over our beds that it was actually painful. We reported these problems. They fixed it enough that warm air came out again (although again only after a period of cold air), but the forcefulness of the air flow remained like a blast over the beds, and was really immiserating. We were gone until late each night with relatives in the circumstance of a funeral, so we were just exhausted and just wanted to sleep. The heating unit was not conducive to a good night's sleep, with its blast force and periods of cold air. "Caring staff, decent rooms, great breakfast"
Very friendly staff at this location, quick check in too. Right across from the Wake Forest basketball staudim...definitely can walk. Breakfast was great...good variety too! Had a strange smell in the room, but the front desk genuinely cared and even offered a small credit for the inconvenience. Unexpected, but much appreciated! Rooms aren't huge, but the beds are comfortable. Small bathrooms, but great water pressure. The beds were very comfortable, breakfast was good! It appears to be a motel that has been and is being renovated. Was a bit disappointed with the fact that the window in the room did not have a lock on it leaving the room unsecure. The thing that impressed me the most was the friendliness of all the staff. They greet you with a smile . We talked and laughed with some of them. We truly felt welcomed. The rooms were nice and clean . The price is reasonable . The customer service at this facility was flat out amazing. The breakfast was fantastic! I was blown away by every associate we came in contact with. You could absolutely get the feeling they truly enjoyed their job and found great pleasure in making our stay memorable. Big kudos to the staff at this facility. They were amazing! 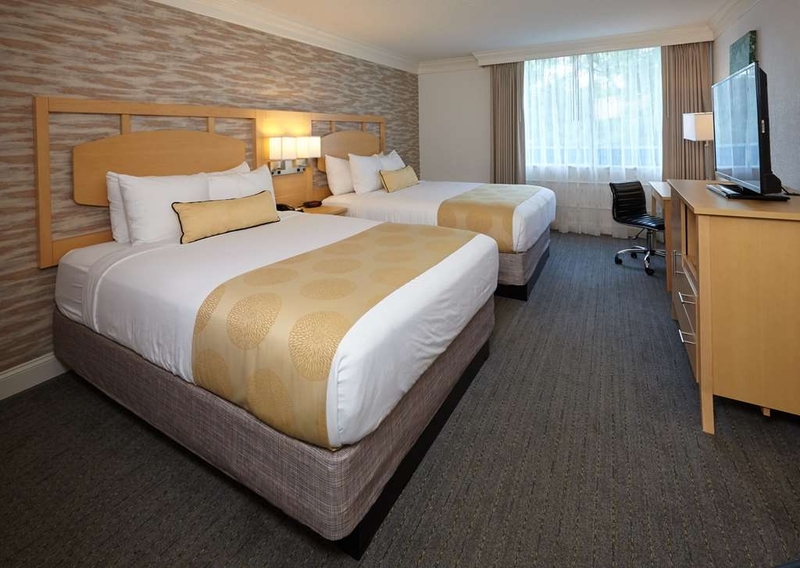 "Very comfortable recently renovated hotel with extremely friendly staff!" I had a wonderful stay at this Best Western location. The decor is very thoughtful, clean, and modern yet comfortable. Every single staff member I encountered was so generous, helpful, and kind. The room was very comfy, clean, and quiet. I had a nice meal at the Mexican restaurant directly next door...overall, extremely restful stay. 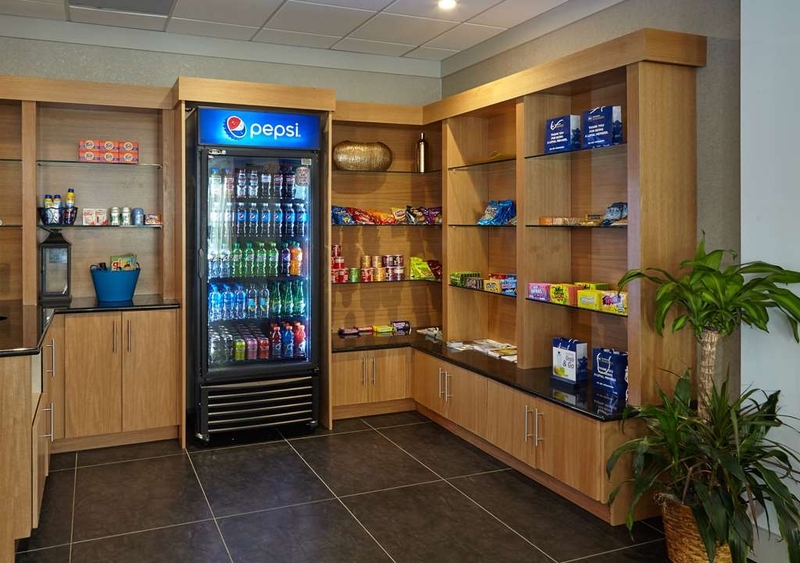 We absolutely love staying at the Best Western Plus near the college! The staff are absolutely amazing are more then willing to help with anything you may need. The breakfast is one of the main reasons we stay here as well. Comfortable, Convenient and enjoyable. Employees were polite and helpful the breakfast was delicious. It was easy to check in and out and we had no problems or complaints at all. We will be returning for future stays. What a surprise this hotel was! From the moment we walked in the door until we left the next day, we were met with the nicest and happiest staff that I've ever encountered. They went out of their way to help us and cheerfully provided anything that we needed. There were so many extras: free cookies and drinks in the lobby, and an unbelievable breakfast that not only had a wide variety of foods to choose from, but they also had a cook ready to make fabulous omelets with the ingredients of your choice! I would definitely go back again! "Excellent stay for the price"
Stayed in the whirlpool king room. Whirlpool was huge and everything was clean. Everything worked as it was suppose to and all staff was extremely friendly. Only complaint which is very minor, is that the elevator was duck taped together which made me a bit uneasy so I took the stairs but otherwise everything was fine. This property was very hospitable from check in to check out. The staff was exceptional. The rooms were clean and comfortable. I would have liked a better selection of TV stations but it was acceptable. I do not understand why hotels do not carry the Netflix service for those of us who subscribe to it. Breakfast was good and the presentation was immaculate! "One of the BEST places to stay down South"
They say you'll meet some of the nicest people down south. The staff at this Best Western PLUS in Winston Salem NJ, was beyond my expectation. Every one of them, from check in to check out served with excellence. Even one of the elderly cleaning ladies was a warm warm soul. But one person I must commend for her services, is lovely Linda. The way she bent over backwards to cater to my friends and I during our complimentary breakfast, can't be put into words, her actions says it all. We actually all had run to catch the last few minutes before breakfast was over, as usual.. Linda showed no sense of urgency to wrap things up, on the contrary, she insisted on bringing more food out to make sure we all had a plate full and enough for seconds! She even made my friend waffles, we all no the mess he would have made if she hadn't came to the rescue lol. Linda is an amazing woman, whom I will be forever be grateful for her hospitality and presence at the Best Western PLUS. Please recognize her for her outstanding work, I'm sure we aren't the only ones who have. Thank you so much for your sharing your feedback for the Best Western Plus University Inn. We are thrilled to know that we were able to provide you with the stellar experience we are known for! We are happy to know that you enjoyed your stay with us. Our staff strives to exceed our guests' expectations. 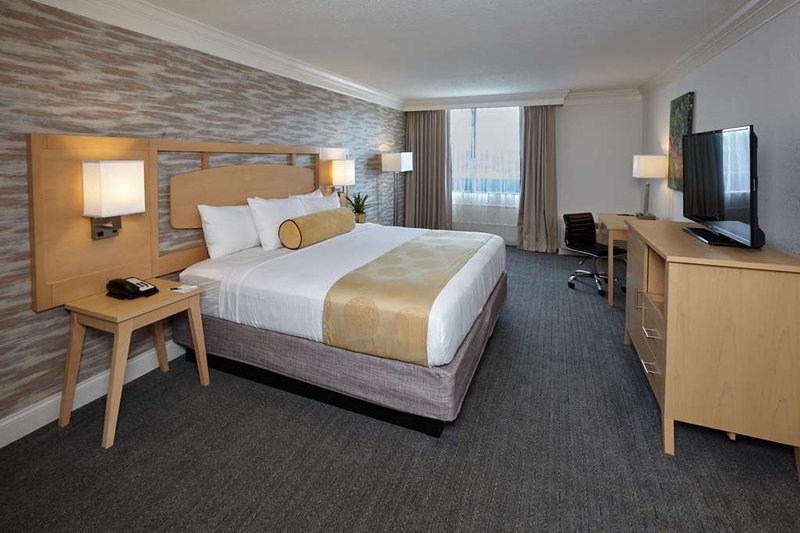 We take extra care to assure that your experience is like a home away from home. We are thrilled to see this shone through, especially during our breakfast service. Our staff is the heart of this hotel and make it the great place it is. We are thrilled to pass along your kudos to Linda. She is a key member of our wonderful team. We look forward to welcoming you back soon for another five-star experience. 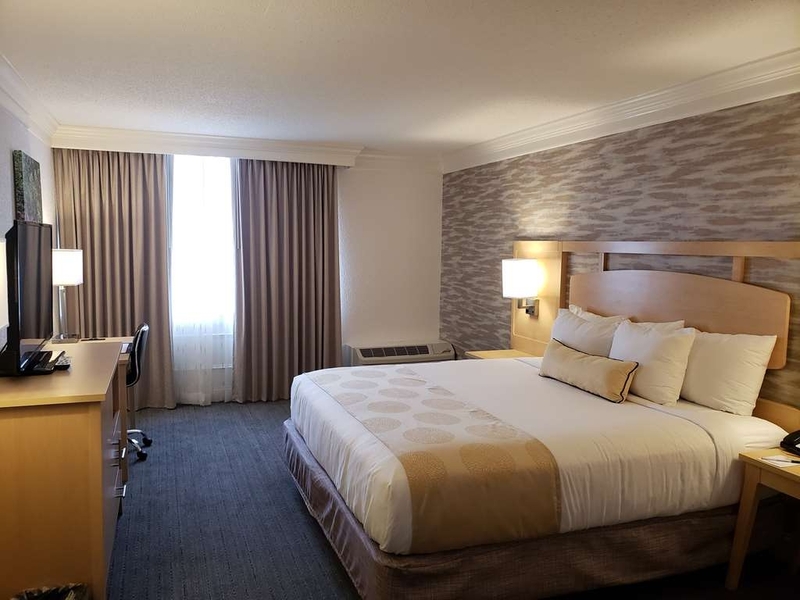 Thank you, Andrew G.
"Best Western Plus University Inn"
This is a good hotel with easy access to downtown or to the businesses on University Parkway. The hotel looks like it had recently been remolded. The staff were very friendly and very helpful, and really went out of there way to make me feel welcome. The rooms were clean and quiet, and the breakfast was pleasant. Freida Mitchell went beyond her call of duty to ensure my group was taken care of. Her exceptional customer service and vibrant personality made the group reservation process seamless! 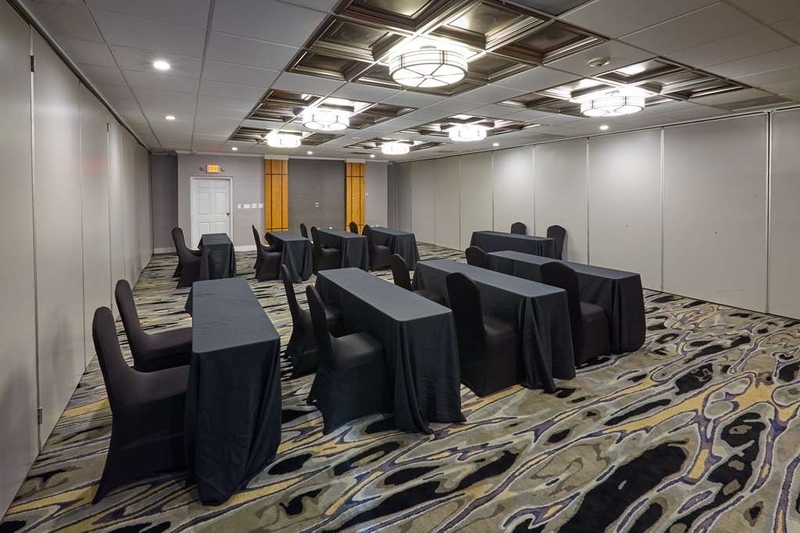 This hotel is perfect for groups and conferences as it centrally located close to everything. Also, it's very comfortable, clean, and breakfast is AMAZING! Lastly, I am so thankful for Frieda's hard work as well as the amazing front desk staff! I can't wait to come back again! So what are you waiting for? 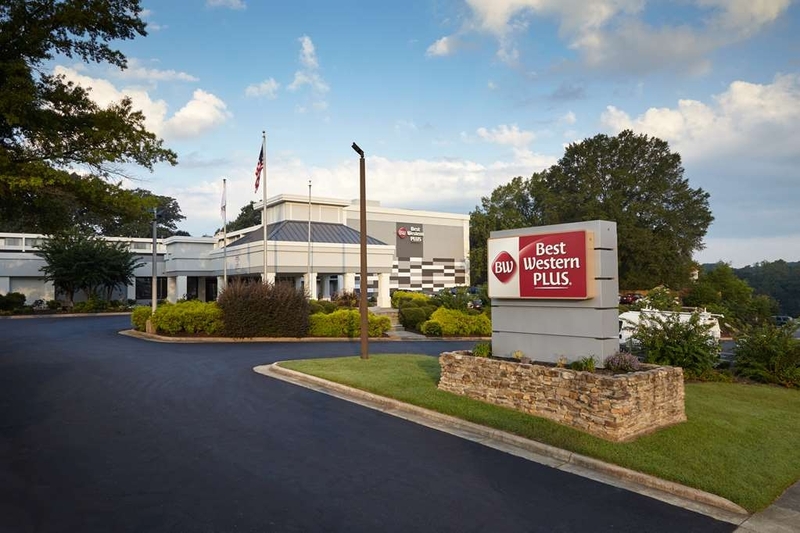 Book your reservation to Best Western Plus University Inn at Winston-Salem! "Pleasant stay at newly refurbished BW University Inn"
Great stay, Very comfortable and clean, newly refurbished room on ground floor. Plenty of towels and hot water. Refrigerator and kitchen counter and sink in room for snacks. Good breakfast, including eggs and meat, waffles, cereal, yogurt, and coffee, Only problem was because of everyone going to the same conference the items ran out frequently. Breakfast is pretty good. They have a small bar which I find very convenient. I had a few problems I don't expect most people to have. Such as the battery in my lock was dead and it took a couple days for them to get it fixed. I enjoyed my stay at this hotel. The staff was great and so was the breakfast. Ms. Griffin was exceptional. She made sure we had everything that we need and made sure the room was comfortable. We will be staying again. I am an avid Billy Joel Fan and I will travel 15 hours by car to see him. I live 8 hours from Winston Salem NC and he had a concert there and I went. I booked a hotel that was extremely close to the were the concert was. I read a bunch of reviews and it seemed they had recently renovated so I figured it would be OK. The price was not to bad. When I arrived a few hours before the concert the place was filled with people. There was a line to check in. Everyone checking in were all going to the concert. I was greeted by the General Manager who apologized to me for the long line. He took my name and offered me a coupe of free drinks at the bar while I waited. I was very happy to take him up on his offer. It took about 45 minutes for me to get my room. I asked why the long wait and he was very sincere and said he had several staff call off so they were running behind on cleaning rooms. He said that 100 people all showed up around the same time as me to check in. He apologized again and asked me if there was anything he can do for me. I can understand how much pressure he was under but I felt he did the right thing by getting me a couple of drinks and giving me an honest answer. The hotel itself was extremely nice and well done. The lobby was big and the lounge was great. The Bartender was super nice. My room had two queen beds in it and was very clean. The bathroom was well lit and also very clean. The Mattress was very comfortable. I did have time to grab breakfast in the morning and it was great. A lot of choices and the lady who's name is Linda took great care of everyone. It was busy with all the same people from the night before but I had no trouble getting what ever I wanted. I would stay at this hotel again. I found this Hotel at the last minute as I had a rescheduled meeting due to Hurricane Florence. It was a very pleasant experience for 3 days. 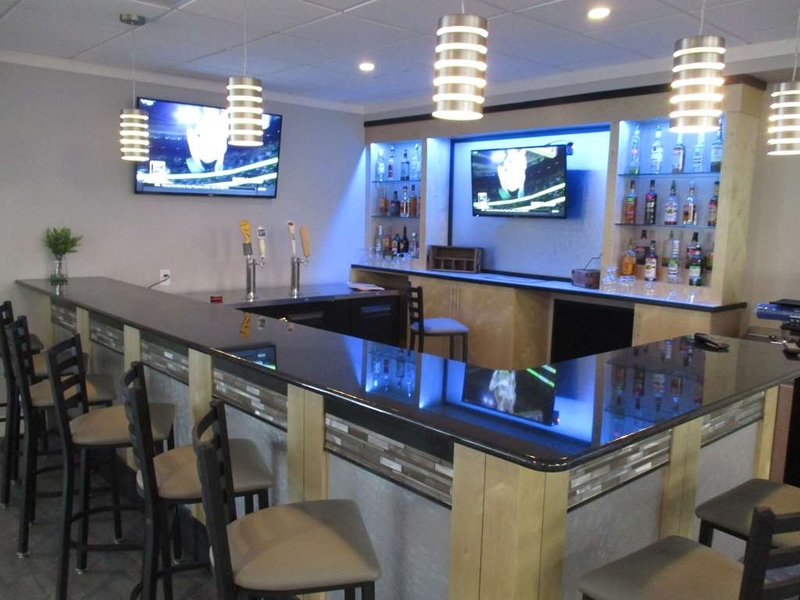 The room was comfortable and clean and the onsite bar was just what i needed for relaxation and baseball. The front desk staff was welcoming and knowledgeable and gave excellent directions to my meeting location. I highly recommend Putters or the Mexican restaurant just next door, walking distance. Breakfast was also a wonderful treat. Even during the sold out weekend, the staff definitely earned my return trip next month! I usually stay at the Marriott when visiting Wake Forest. I decided to give the Best Western a chance on my recent stay as it was slightly less expensive. I must say that I was very impressed from beginning to end. I was told by a colleague that the hotel has gone through a big renovation and everything was brand new. It was a great decision. I was checked in quickly and the desk clerk was friendly. My room was large and clean, and mattress was fantastic. They had a small bar/lounge to grab a drink and a free breakfast in the morning. I would definitely recommend checking it out if needing to be in Winston-Salem. This will be my new go-to! "Very busy but nice place"
Came to Winston Salem to see Billy Joel. The hotel was walking distance to the concert. They just renovated the property and it looked amazing. When I arrived to check in the lobby was filled with people. I had to wait a long time to check in. They did not have rooms ready. The general Manager was in the lobby talking to guests and he came over to me and offered to buy me a drink while I waited. I took him up on the offer. After I had my beer he came over to me and said my room was ready. I booked a non smoking king room and that's what I got. The room was very large and everything was new. All the staff I interacted with were super friendly and kept apologizing for my wait. I guess everyone arrived at the same time for the concert. Even with my wait I would stay here again. "Great pet friendly hotel - great staff"
We are in the process of moving and stayed here with our pets. We were towing a trailer and pleased to find ample - and we felt safe overnight parking. The hotel is in the process of being upgraded but were not inconvenienced by it. The staff is very pleasant and our stay was great! I stayed at this property with my family during Hurricane Florence as we had to evacuate from Myrtle Beach. Andrew the General Manager without hesitation helped us out. His front desk greeted us with smiles which was nice to see after driving 4 hours with pets and being worried about what we were leaving behind. They recommended some wonderful spots to eat that were kid friendly. Andrew along with the Sales Manager were getting prepared to make all evacuees feel like they were at home. They were doing a managers reception and a kids movie in their meeting room. How cool is that! The rooms were clean and all lobby areas were spotless. This is a wonderful property to stay at. Kudos to Andrew and all of his staff. Job Well Done! Rooms are very clean. Extraordinary customer service. The room service was great. If you forget anything they will accommodate your needs. Atmosphere very quiet. Ask to be room not near an elevator. This is a great place to stay. "Great location to BB&T Field"
Very satisfied with this hotel. Was clean and looked recently updated. 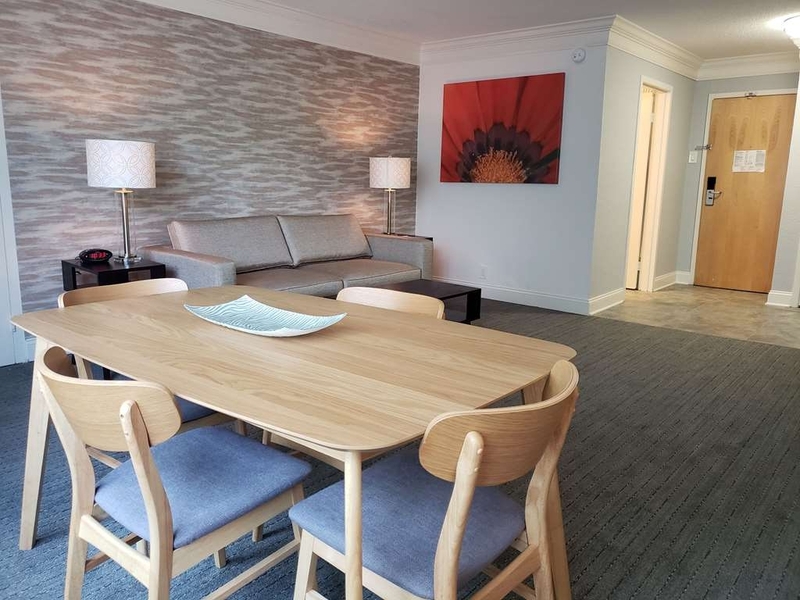 The rooms are small (room 201, whirlpool suite), but the price reflects this. The pool and outer courtyard were very nice. Will always stay here when in the area. "Fantastic and so clean! " Hotel is excellent! Very clean, everything looked brand new, no yucky smells, lobby and outside area were lovely. Breakfast is included and it's pet friendly. Beds were also very comfortable ?? Great stay! all staff where helpful and friendly. room was nice and clean. breakfast was good. nice pool area. over all liked my time here. great soul food resteraunt near by. one of the nicer B.W.ern experiances iv'e had recently. I absolutely will never stay at this hotel again. The renovation work is incomplete, the staff are far from professional, everything just seems thrown together. We could smell cigarette and marijuana smoke in the hallway. I had my young son with me while we were attending the WFU football game and I was afraid to let him go to the vending machine alone. There were very "shady looking characters' staying there. When I mentioned my concern to the young lady at the front desk, I was told that they can't stop people from staying there as long as they were paying. So apparently, they are fine with what seemed like illegal activity that goes on there. I could go on forever but these were some of my bigger concerns. The list would be entirely too long if I mentioned the condition of the rooms and the service received. Again, an absolutely horrible place to stay. The whole team was awesome but one really stands out.... The operations manager! She has always been very nice and polite. I have known her from the time she has worked the front desk and then promoted to head of housekeeping and now operations manager. She has always been very nice, polite and willing to try to accommodate. She has deserved these promotions and more. She is a keeper!! The hotel had several spots throughout the hotel that was dripping water from the ceiling. My bathroom had a bad odor that I had to go and buy bleach and other cleaning supplies. The entrance/exit door on the side my room was on ( first floor back side entrance) had mold all around the door way from constant water dripping down . The hallways was very hot and humid . "I'm sorry but this is just unsanitary"
I have stayed at this hotel two times before moving into my college nearby. Tonight while I was laying in the bed I look over and see nasty dried blood ON THE SHEETS. This hotel is fine otherwise but that really really grossed me out and made me never want to stay here again. 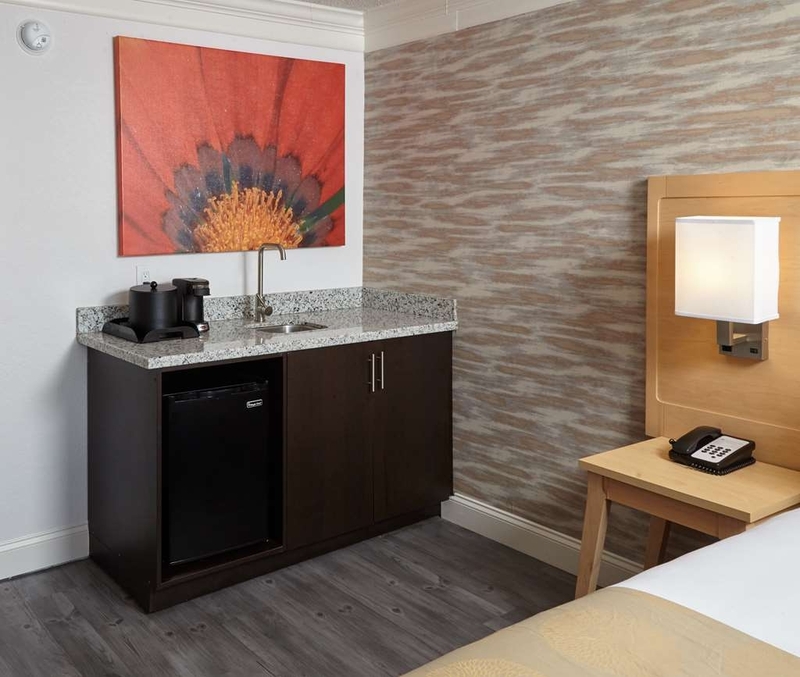 Best Western Plus University Inn is newly remodeled and very clean. I was very pleased with the cleanliness of the hotel especially our room. It looked like everything was brand new . The bed and pillows were very comfortable. My husband and I loved the complimentary breakfasts before we set out on the road for 12 hours. l highly recommend this hotel. Staff was very friendly and we would stay here again. My 5 nights at this hotel did come with ups and downs. Customer service exceeded my expectations until the day of checkout. Sasha, who is the hotel housekeeping supervisor, banged on my door at 11:45am demanding that I be out by 12:00pm or she would come into my room and pack my things and physically kick me out. All of this happened after I was approved for a late checkout at 1:00pm. She acknowledged the request that I made that morning but said it was a miscommunication with the front desk staff and I had 15 mins to get out. I told her I will try my best and I did. It was not humanly possible to pack myself and my two children's belongings and be out of that room in 15 mins. At 12:00pm, she banged on my door and came into my room, grabbed my things and shoved them into our suictcases. I had wet towels from the pool and bathing suits thrown in with dry and clean clothes, she almost destroyed my clothes that were supposed to be hung and carried. All of my shoes were shoved into one suitcase with our electronic devices and things were scattered everywhere. I was in shock. I've never been treated like that before ever. She behaved this way in front of my 8 year old son. He was scared and frightened from her behavior and her threats. "They are trying really hard!" After reading some of the older reviews, you can tell that this hotel has gone a long way in the past couple of years. We had an overall good experience, and we would stay here again, although this probably wouldn't be our first choice in the area. Here's a summary of our stay: PROS - Great location. Across the street from the Lawrence Joel Memorial Colisseum and very close to WFU. - Great staff!!! Everybody was very friendly and helpful. - The hotel has just been remodeled. Everything is brand new, including the bathrooms. - Our room was very clean. 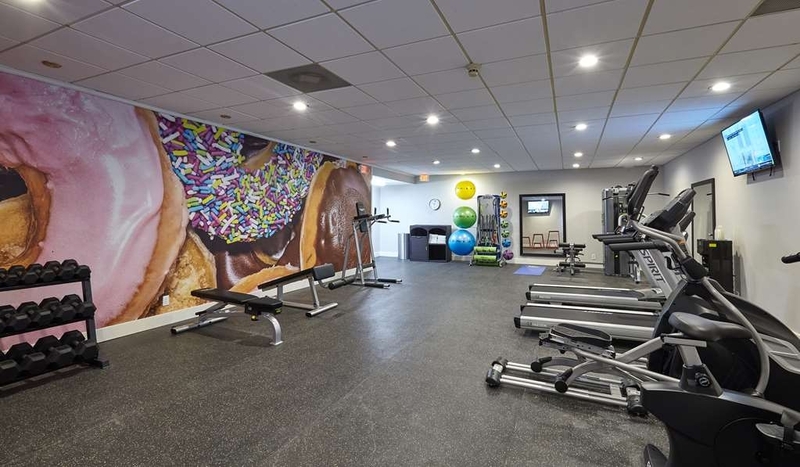 - Great fitness center! 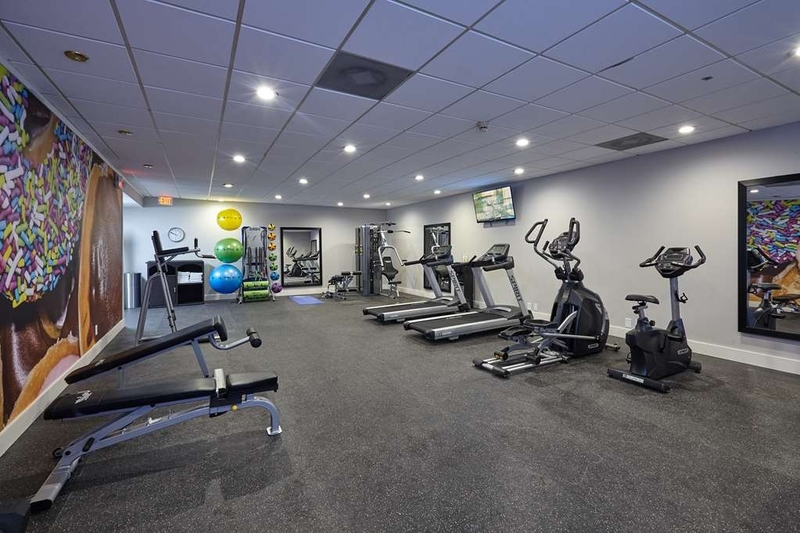 Two treadmills, a stationary bike, an elliptical, plenty of free weights and a couple of weight machines. CONS - The walls are paper thin. We could clearly hear what people were saying on the hallway from bed. We also heard the neighbor's TV and every time they flused. - The remodel felt very rushed. Our bathroom door didn't even latch so we couldn't lock it. Popcorn walls and ceilings, chipped doors... Nothing terrible, but it felt more like a 2 star than like a 2.5 star. - Not many healthy options for breakfast. All the meat was pork (no turkey options). They had eggs but they had a ton of cheese. They had yogurt, but the super sugary stuff. They didn't even had oatmeal. - No hair dryer or microwave in the room. Overall, an adequate place to spend a couple of nights. You won't be disappointed, but you won't be impressed either. "Very nice, newly remodeled good breakfast"
Enjoyed a real breakfast every morning and staff was very nice. Beds were comfortable, but needed more than just sheets that they have. Nice bathroom and very good breakfast. The pool only has ladders in, no stairs. Elevator in front is slow and very small. The elevator in the back down the hall is bigger. "Great Hotel, Brand new, very clean and professional staff"
We had an amazing stay at this hotel. It is only 1 minute from Wake Forest University. Beds were very comfortable and staff was very nice and professional. 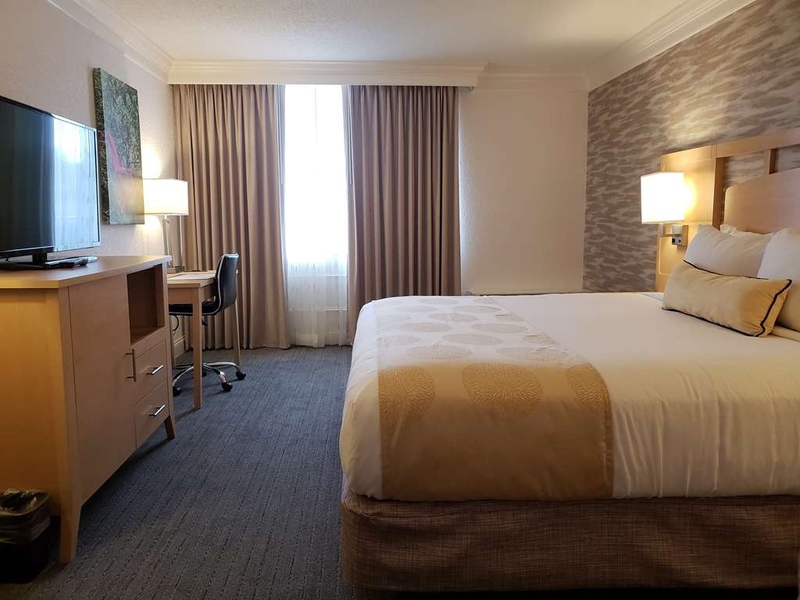 We were skeptical because the price was so low and we usually don't stay at hotels like this, but were very impressed and would stay here again in an instant. The free breakfast was great, and I would like to give a special shoutout to the lady who worked in the breakfast area on the morning of July 19. She is the type of employee that I would want at my business. She made sure we had everything we needed and made us feel at home. She went above and beyond to make our stay great. Overall, this is a great hotel and I will be staying here next time I visit Wake Forest. Thank you so much for your sharing your feedback for the Best Western Plus University Inn. 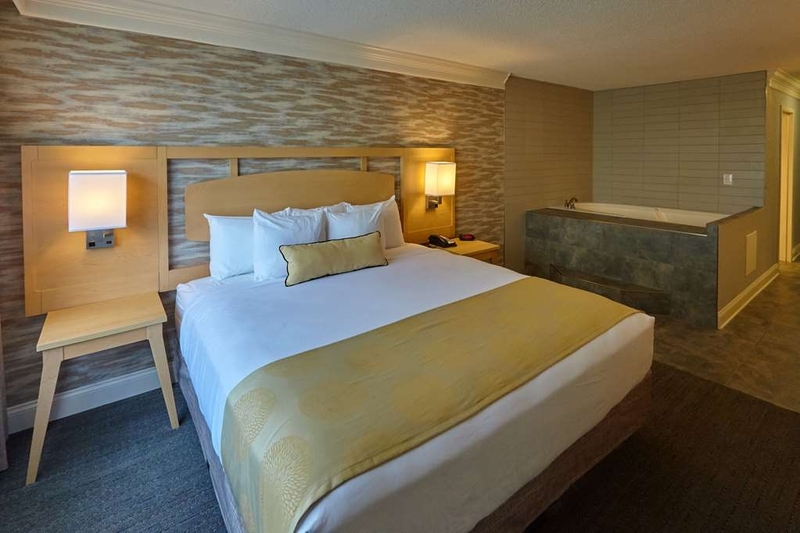 We are thrilled to know that we were able to lay your skepticism to rest! We are happy to know that you enjoyed your stay with us. Our staff strives to exceed our guests' expectations. 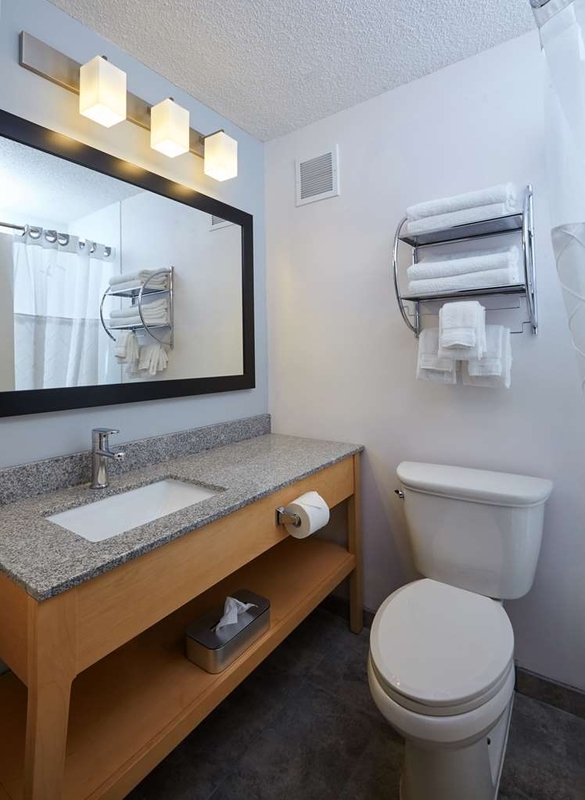 We take extra care to assure that your experience is like a home away from home. We are thrilled to see this shone through, especially during our breakfast service. Our staff is the heart of this hotel and make it the great place it is. We are thrilled to pass along your kudos. We look forward to welcoming you back soon for another five-star experience. 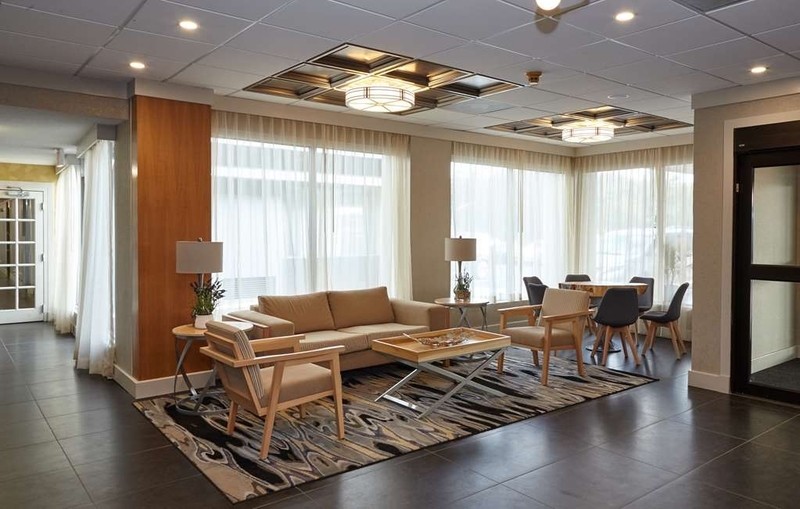 Thank you, Fitzroy G.
My family and I recently stayed at the newly renovated Best Western Hotel and Spa. We were skeptical about booking our stay due to negative reviews. We thoroughly enjoyed our stay. The staff was very professional and friendly. 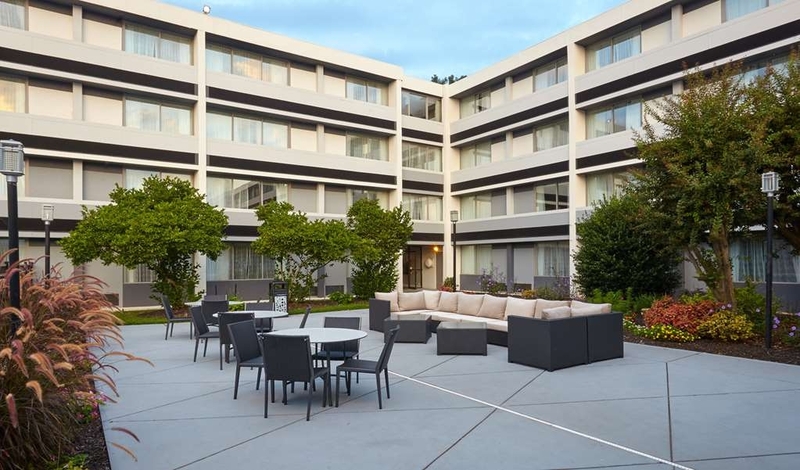 We recommend this hotel to anyone in the area and we plan to stay again in the future. Would stay in my vehicle before staying here again, had a dispute over a room charge, the manager never would return my calls or messages to resolve the issue. They had problems with checking in and out. When we checked out They were having computer problems so many guests were asked to write their email address on a list to receive their checkout papers , I didn't get an email until numerous calls and it wasn't for the 2 night's we stayed , it was for the disputed amount. I was told when o cancelled a room that it was cancelled, didn't receive an email confirmation because they had the email address wrong which I didn't find out until I called to dispute the room charge on my credit card. VERY unprofessional. "Favorite Hotel on College Tour"
We stayed here 1 night on our summer college tour of the Southeast. Out of the 5 hotels we stayed in on this trip (4 of which were Best Western), this was our favorite. All the staff members were very friendly and our room on the 4th floor was totally renovated. The location was close to Wake Forest University. I would recommend this hotel. When I stayed the hotel was being transitioned to be a Best Western, so I had some difficulties locating the hotel due to name change/ sign change, but it does have a great location for travelers. 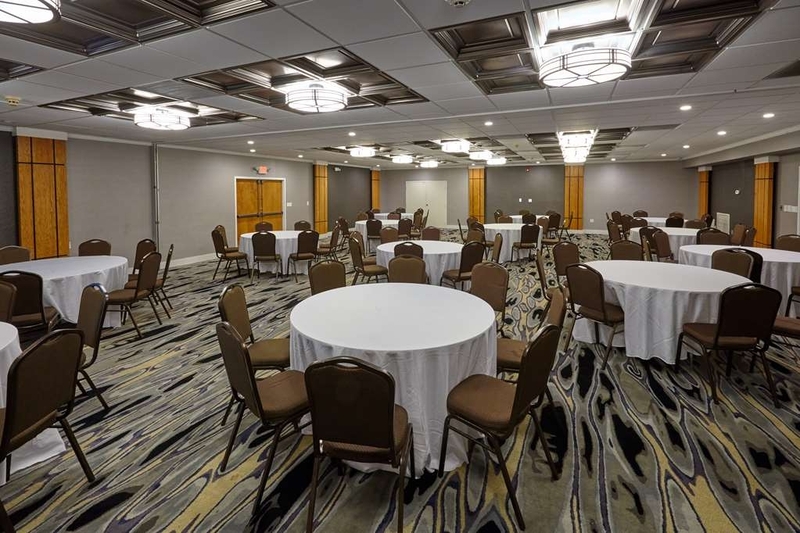 A restaurant will soon be available at the hotel but it is convenient to many restaurants and things to do around Winston-Salem. The staff was great and helpful. It also had a great parking lot that was easily accessible with ample parking for trailers/campers. 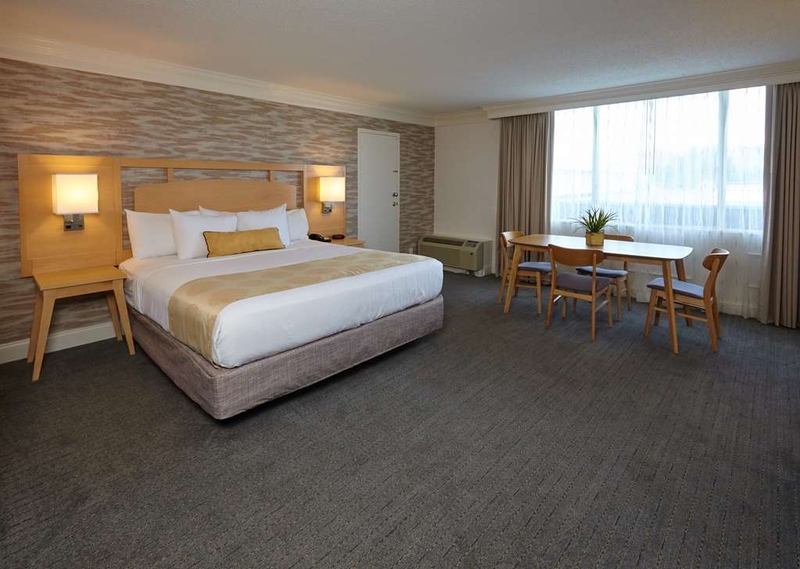 The rooms were recently remodeled and fairly clean. 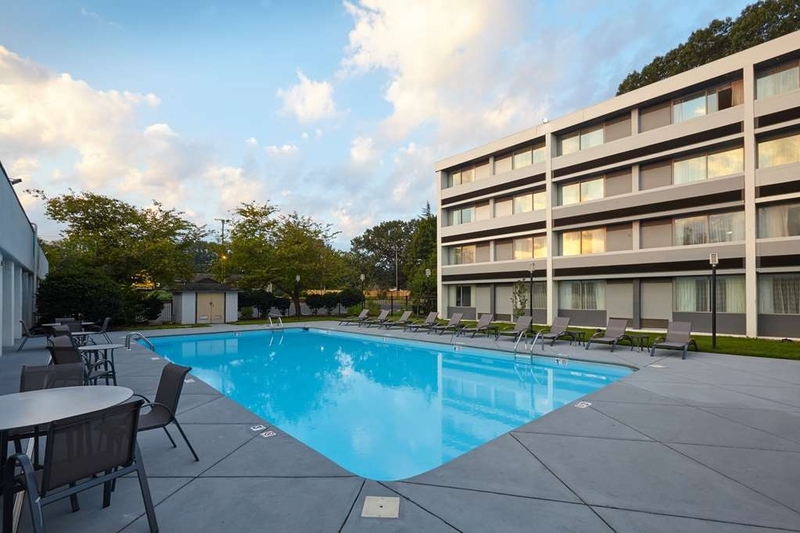 Thank you for your excellent review of the Winston Salem Hotel and Spa. We are thrilled to see how much you enjoyed your stay with us. 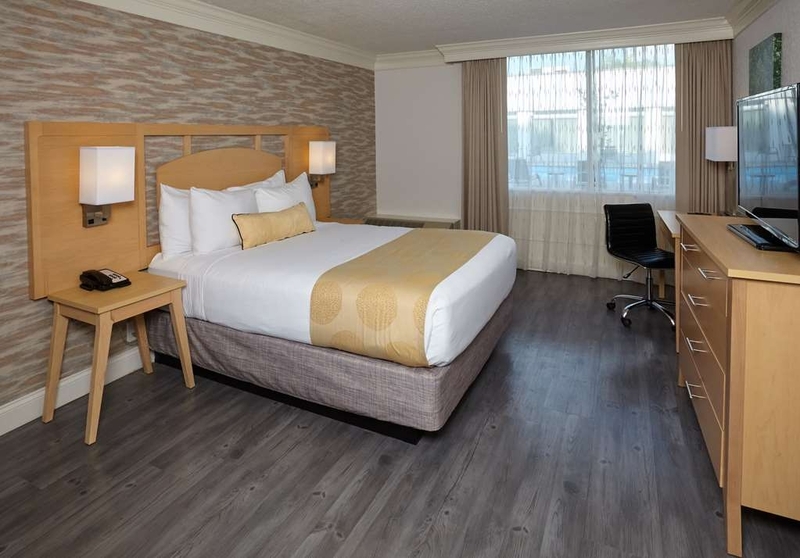 We have recently completed extensive renovations so that we may put our best foot forward and deliver an excellent experience for our guests. We are almost there! We thank all our patrons for their patience and understanding. We are happy to know that you were treated to the top-notch customer service we are known for. Our staff works diligently to deliver a great experience for each of our guests. We are happy to know this shone through. 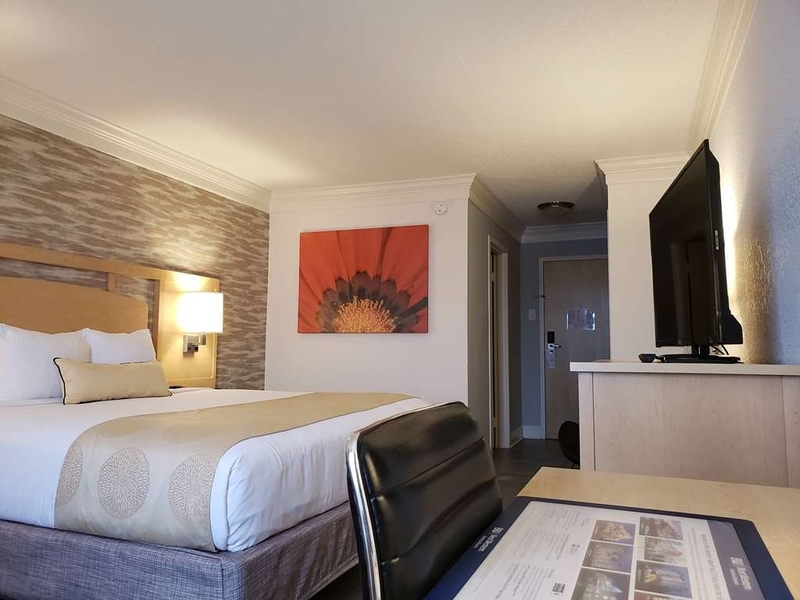 We are centrally located in Winston Salem to the business district, the University, shopping and a variety of dining should you choose to venture outside the hotel. 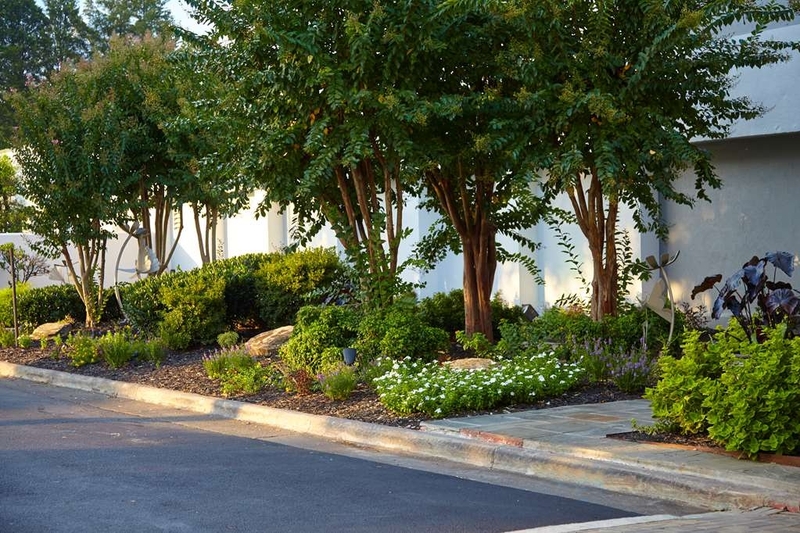 We have wonderful amenities for our guests to take advantage of and parking is always key for our guests! We look forward to welcoming you back soon to earn our fifth star. Until then. Thank You, Fitzroy G.
Seriously couldn't ask for friendlier & more helpful people. Also the room was clean, beds comfy, best pillows ever & beautiful pool area. Breakfast had a huge variety, plenty of seating & food was very good! This is a Best Western in transition and it was a delight to stay and see how it is being transformed. The staff were very helpful and friendly, the room was spacious and quiet, and I particularly liked the displayed art work in the room and the hallways which were unique and interesting. 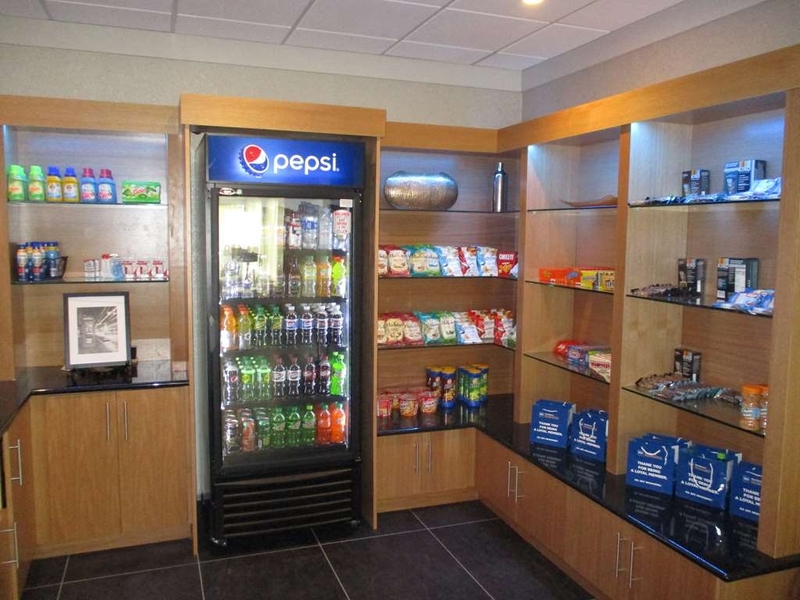 The hotel is centerally located and easy to navigate to downtown Winston-Salem. I would stay again and be eager to see its final transformation. Thank you for your excellent review of the Winston Salem Hotel and Spa. We are thrilled to see how much you enjoyed your stay with us. We have been undergoing extensive renovations so that we may put our best foot forward and deliver an excellent experience for our guests. We are almost there! We thank all our patrons for their patience and understanding. We are thrilled to see all our hard work is paying off and that you enjoyed all aspects of our newly renovated public spaces and guest rooms. 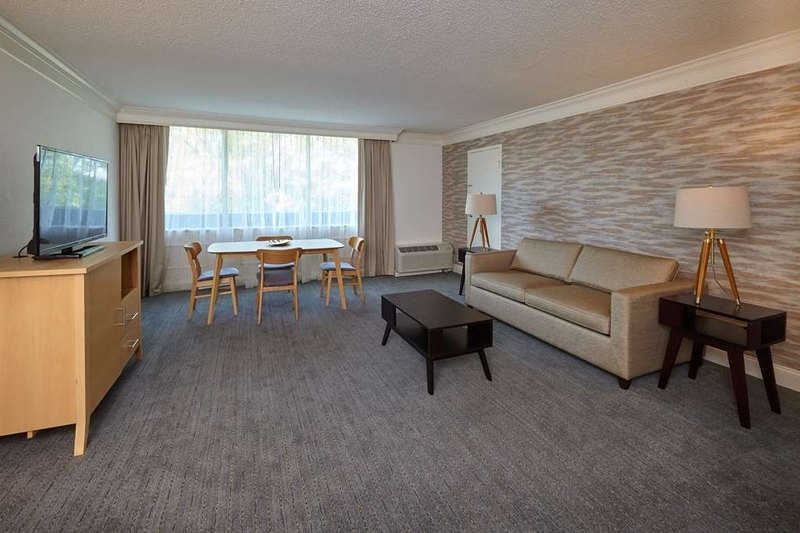 We like to think of our rooms as a small oasis to return to at the end of the day with some of the amenities and comforts of home. We are happy to know that you were treated to the top-notch customer service we are known for. Our staff works diligently to deliver a great experience for each of our guests. We are happy to know that this was your experience. 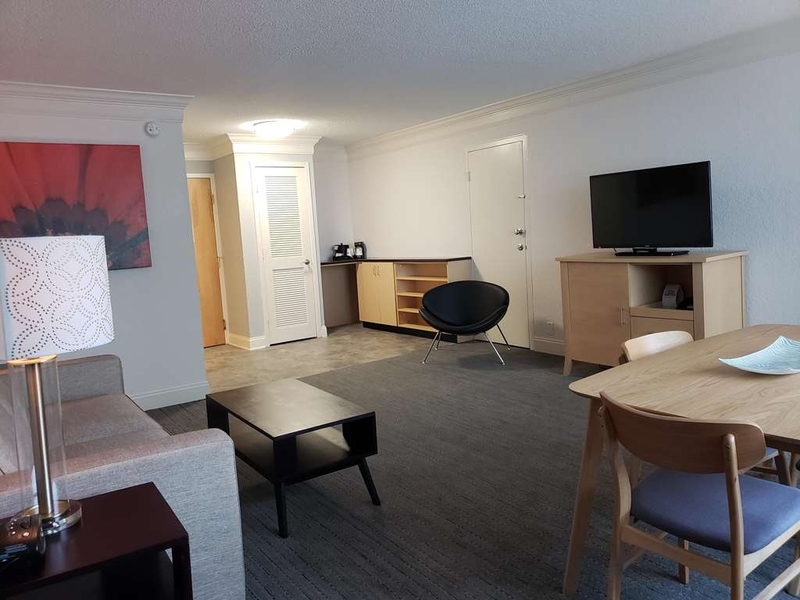 Location is key and we are fortunate to be centrally located to the university, the business district and a variety of shopping and dining in the area. We look forward to welcoming you back when we are fully dressed to impress and earn our fifth star. Until then. 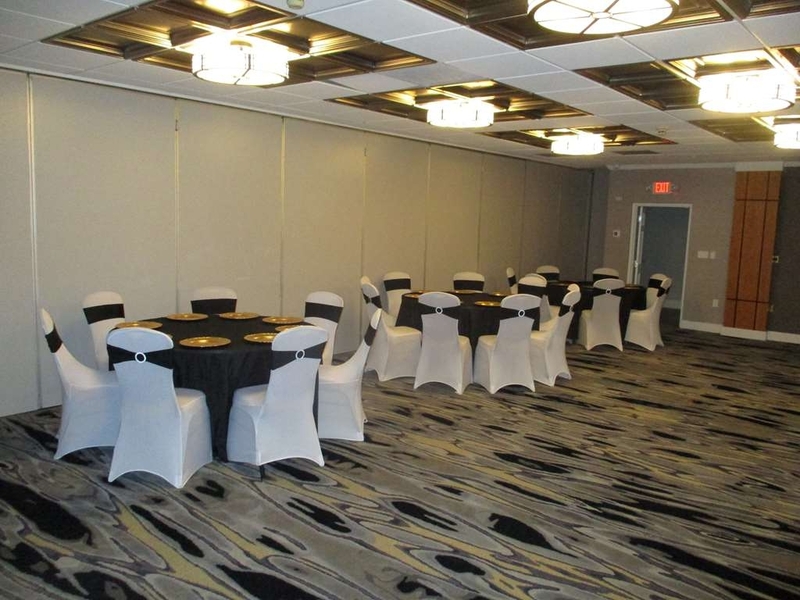 Thank You, Fitzroy G.
"Wake Forest Graduation Perfect Location"
Perfect hotel for Wake Forest Graduation. A year ago I booked this hotel for my sons graduation even though the reviews were not good and they were under construction. I was hopeful that all would improve by 5/19 and it did. The lobby is complete and beautiful. 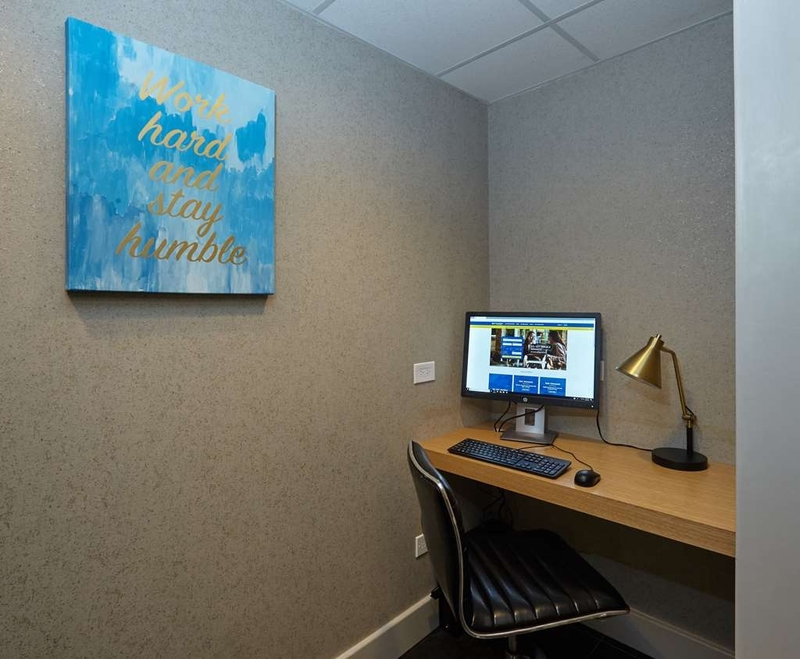 My room was new and beds were very comfortable ( my back did not hurt and i need the brand of the mattress) there were some issues with the machine cutting the keys which is going to be replaced but the staff is so friendly and helpful. The breakfast was very good and lots of options. The dining area is clean and big. The best part was the convenience to Wake Forest less than mile to the school It is great to be so close as you will be going back and forth a number of times during graduation weekend. Under a big renovation. No one told me this when I made my reservation. We had to be moved to a different room and still problems with the 2nd room. The next day at check out we were told we would get a discount because of the problems and they would email our receipt. Never got an email. Didn't see a charge on my debit card so I checked my credit card that was used to hold the room and it was charged. I had asked for my credit card not to be charged and gave them my debit card. SO..I had a bad room, no discount and the wrong card charged with no receipt. "Great hotel that will get even better "
This hotel is being renovated room by room as it transits into the Best Western Brand. Our room was renovated. Clean, new and bright, as was our friends staying next door. We were greeted by wonderful staff. Theressa checked us in and Chantel learnt as it was her first day. They were helpful and polite. Breakfast was simple but tasty. The beds were really comfortable, the TV large. I would have given five stars except the lobby isn't finished yet! I would stay here again. Thank you for your excellent review of the Winston Salem Hotel and Spa. We are thrilled to see how much you enjoyed your stay with us. We have been undergoing extensive renovations so that we may put our best foot forward and deliver an excellent experience for our guests. We are almost there! We thank all our patrons for their patience and understanding. We are happy to know that you were treated to the top-notch customer service we are known for. Our staff works diligently to deliver a great experience for each of our guests. We are honored to pass along your kudos to Chantel. We look forward to welcoming you back when we are fully dressed to impress and earn our fifth star. Until then. Thank You, Fitzroy G.
"Could you have mentioned the renovation when I booked?" It's difficult to evaluate this place as there's a massive renovation ongoing. I checked in and got to the room only to discover that the lock was missing (in other words, you didn't need a key to enter). There was a microwave on the floor in the middle of the room for no apparent reason. There's plaster and other materials everywhere. Look, I get that the hotel is trying to stay open while doing this, but failing to disclose this to paying customers ahead of time is a breach of public trust. I'm sure the hotel's GM will place the same "form letter" response to this as has been done with the other poor reviews, but the biggest issue here isn't whether this will be nice after construction has been completed. Instead, it's you NEED to let people know what the deal is BEFORE you book.